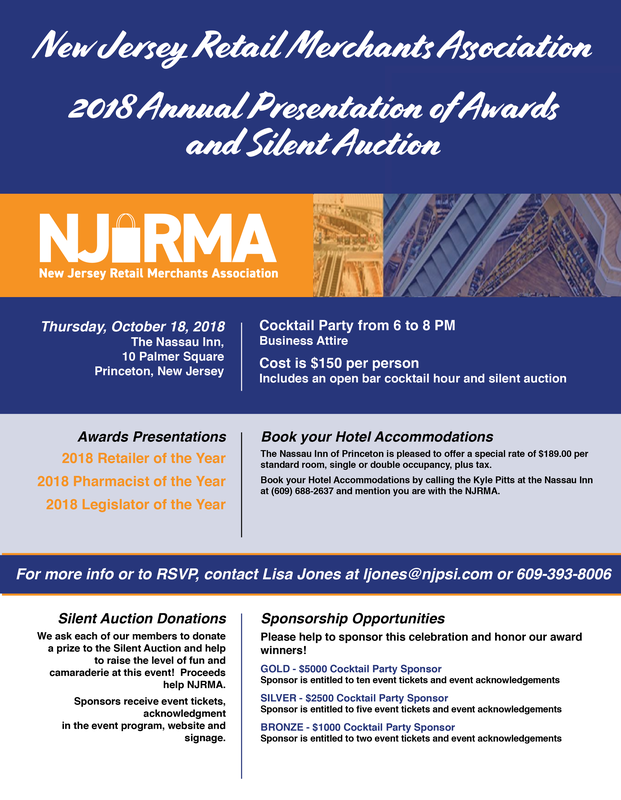 The New Jersey Retail Merchants Association is a not for profit business organization, located in Trenton, the state capital. NJRMA is currently in its 41st year of operation, representing and protecting the retail community in New Jersey. As the voice of the retail industry in New Jersey, NJRMA provides a critical link between retailers and all of state government. If you have any questions or concerns, please do not hesitate to contact President John Holub by email or by phone at 609-393-8006.